Nonjatta: A few factual points about Ulf Buxrud's "Japanese Whisky"
A few factual points about Ulf Buxrud's "Japanese Whisky"
As I said in the main post, I thought twice before posting these quibbles. 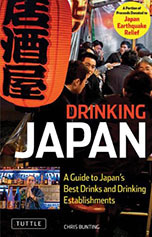 However, some of the factual issues pinpointed here are actually not that trivial and may affect people trying to use Ulf's book as a guide to Japanese whisky (most notably, the issues I raise about pronunciation and the problems with the addresses). None of this is meant as damning criticism of Ulf's work. I have given my positive general impressions of his book in my review and God knows how many mistakes I have made on Nonjatta?! 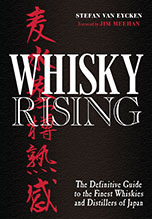 I would really have preferred to be raising these issues privately to Ulf on a draft sent before publication but we didn`t arrange that between us and, on reflection, I do think it is important to raise this stuff so that myths and misconceptions about Japanese whisky are nipped in the bud at an early stage. Pg 12. "The technique initially used was the single distillation method or kasutori, and it was practiced to the end of the Edo period..."
"Kasutori" does not mean "single distillation method". Kasutori means something like "taken from the lees of sake", ie. a waste product from sake production. A type of shochu which first became popular in the Edo period was made from these lees. Cheap forms of kasutori shochu were sold after World War II and actually gave their name to the decadent, depressed but somehow liberated "Kasutori culture" of defeat in immediate post-war Japan. Pg 12. "... A third classification was later added as the honkaku (Grade C)..." I stand to be corrected here but it is my understanding that otsurui (Grade B or otsushu, as Ulf calls it) and honkaku shochu are effectively the same thing. It is true that a few "otsuruis" don`t, strictly speaking, qualify to be "honkakus" but to all intents and purposes the two categories are synonymous. On the general market, to my knowledge, virtually all of what used to be called "otsurui" shochus now refer to themselves as "honkaku" shochus. There are a few other issues I have with this section - such as Ulf`s categorisation of different types of shochus and his description of awamori as a type of shochu - but these are really matters of shading and opinion and probably best addressed positively in posts on Nonjatta about those topics. Pg 14. "The usual story is that the pioneering work in the trade was done solely by Shinjiro Torii (born 1879) and Taketsuru Masatake (born 1894)..."
It is "Masataka Taketsuru" not "Taketsuru Masatake". Also, there is a little bit of confusion here about first names and last names. Torii and Taketsuru are the family names. Pg 25. "The koji (Japanese: 麹, 麹菌, or koji-kin) or Aspergillus oryzae, is a filamentous fungus (a mold)..."
The current Wikipedia article on Aspergillus Oryzae says this: "Aspergillus oryzae (Chinese: 麴菌, 麴霉菌, 曲霉菌, pinyin: qū meí jùn; Japanese: 麹, 麹菌 or kōji-kin, Korean: guk, 麹) is a filamentous fungus (a mold) used in Chinese and Japanese cuisine which ferments soybeans to produce soy sauce and miso. The fungus is also used by both cultures to saccharify rice, potatoes and grains for fermentation in the making of alcoholic beverages as huangjiu, sake, awamori and shōchū." Ulf's text on page 25: "The koji (Japanese 麹, 麹菌 or koji-kin) or Aspergillus oryzae is a filamentous fungus (a mold) used in Japanese cuisine which ferments soybeans to produce soy sauce and miso. The fungus is also used to saccarify rice and other grains for fermentation in the making of other alcoholic beverages." As I have implied in my main review, there is more than one point in Ulf's text where there is a resemblance with other sources. Where it relates to my work, I have exercised the right to comment on the borrowing. All I will say about this instance is that Wikipedia allows people to borrow their material but that the terms of the borrowing are that Wikipedia should be attributed as a source for the material and that any further distribution is under the same licence as Wikipedia (ie. other people can freely copy it too). "Japanese Whisky" does not mention Wikipedia as a source for its text. On a broader point relating to pages 25 and 26, I think that it is important to underline that to my knowledge koji does not seem currently to be used by any of the mainstream Japanese whisky makers in making whisky. Ulf correctly introduces this as a "historical" issue, relating to the development of whisky in Japan, but an inattentive reader might have got the wrong end of the stick by the end of the discussion on page 26. The location of Yamazaki is wrong. It is much further to the north. Page 43. "...Chichibu (tji-tjibu) Distillery..."
I am struggling a bit with Ulf's guides to the pronunciation of Japanese distillery names. Perhaps I am just ignorant of a perfectly good phonetic system or perhaps Ulf's transcriptions are going to work better for speakers of some other European languages, but I suspect there will be many English speaking readers who share my problem. This pronunciation issue is more important than all my factual quibbles because it might seed some incorrect pronunciations of what are actually fairly straight forward words to pronounce. For this reason, I am going to indulge in a little digression here to explain the very basics of Japanese pronunciation. - "A" to rhyme with the first syllable of "cattle". - "I" to rhyme with the first syllable of "fiddle". - "U" to rhyme with "who", or "true" or the first syllable of "cruel". - "E" as in "pen" or "red". - "O" as in "ovulate" or "orange". - "EI" as in "day"
- "AI" as in "lie"or "fly"
- "OU" to rhyme with "flow", or "hoe"
- "AU" as in "out", or "Ow!" These long vowels are basically just combinations of the first set of vowels. That's it! It may seem like I have gone off on some abstruse linguistic tangent but, with all due respect to Ulf, it is actually a lot simpler than trying to pronounce "tji-tjibu". So, "Chichibu" distillery is pronounced something like "Chi-chi-boo", with the "chi" rhyming with the first syllable of fiddle and all the syllables having the same stress and length (so the "boo" is not the great rasping thing you might be tempted to make of it but more like a run-of-the-will "who?"). Ulf's "tji-tjibu" had my English born tongue in knots and definitely not coming out with the right sounds. Page 47. "..Fuji (Fu-dji) Distillery..."
Again, not strictly a factual problem and Ulf's phonetic system may be perfectly legitimate, but Fuji is pronounced the way you have always pronounced it. Page 53 "...Hakushu (Hack-shoo) Distillery..."
Hey! What happened to the "Ku"? Ha-ku-shoo". The "ha" rhyming with the first syllable of "cattle", the "ku" to rhyme with "who" and the "shu" a little bit longer (because of an added "u"). Keep the stress the same throughout, if you can (the tendency of English speakers is to put stress on a syllable). Update 26.9.08: Please refer to the comments on this post. There may actually be a case for Ulf's pronounciation guide here. Some Japanese teachers do teach the dropping of the "ku" as a way of counteracting the natural tendency of many English speakers to put excessive stress on the "ku". Saying "hack-shoo" would certainly sound more natural to a Japanese speaker than saying "ha-koooo-shoo". Page 61 "... Hanyu (han-jo)..."
"Han-yu" with the Han like "man" and the "yu" like "you"
Page 69 "... Karuizawa (karu-zavva).."
"Ka-ru-i-za-wa". Equal stress. The "I"s and "A"s the same as you find in "Spaghetti". "Ru" to rhyme with "Wayne Rooney" or "who?". "W" as in "water", not "v" as in "vat". Page 75 "Mars Shinshu (mars-tsinshoe)"
"Mars Shin-shoo" with the shoo rhyming with "who?" "Sen-dye" with the "dye" rhyming with "fly". Page 81 "... well known by its nickname, The City of Trees (Mori no Miyao)"
Sendai is known as "Mori no Miyako"
Page 81 "Miyagikyo ("me-ja-gi-kjo") Distillery"
"Mi-ya-gi-kyo-u". Mi to rhyme with "me", as in oneself; "ya" as in "yak"; "gi"as in "git"; "kyo-u" is a bit more difficult but rhyme it with "hoe" or "flow" and you won't go too far wrong. "Shi-ra-ka-wa". All the "A"s as in cattle and the "shi" as in the first syllable of "fiddle". Page 99 "Yamazaki (jamma-sarki) distillery". "Ya-ma-za-ki". All the "A"s of equal length and to rhyme with "cattle" and the "ki" to rhyme with "key". Page 111 "Yoichi (joy-chi) Distillery"
"Yo-i-chi" with "yo" to rhyme with the first syllable of "orange" and the "I"s as in "spaghetti". All the syllables are given the same stress and length. Page 120 "Togouchi Single Malt whisky 18 yo"I don't think this company currently produces a single malt. The company's website says this one contains grain and malt whisky. Page 124 Address for Speyside Way:"...Meguro-key"
This should be "Meguro-ku". I have left out other obvious typos in the book, but I have included this one here because it alters the address of the bar. If someone were to go in search of "Meguro-key" they may have a long journey. Page 125 Address of Single Malt Bar: " ...Fish Hiyashi's building, Four valleys..."
I don't know whether "Fish Hiyashi" is a local nickname but the name of the building given by Ulf in Japanese is "Shinkou Biru" (or Shinkou building). If you go in search of "Four Valleys" in Tokyo, you might have problems. "Yotsuya" is what you have to ask for. It is a major district of the city. Looking for "Four Valleys" is a bit like going to London and asking for the "Hunting cry place" instead of Soho. Page 126 Address of Bar Nemoto: "Chuo ku etc...."
There are a number of problems with this address. The Japanese address given appears to have been cut off halfway and the floor given in English appears to be wrong. I think if you asked for "Bar Nemoto, Chuo ku, Minami Yon Jou Nishi Go Chome, Tsumugi Biru B1F" you might stand a better chance of getting there. Page 126 Address of Bar Augusta Tarlogie: "..Turono-cho..."
Page 126 Address of Bar Baroque Shinsaibashi: "...Sinsai bridge..."
"Shinsai". There is a general problem through much of these addresses that Ulf sometimes translates words into English that actually would make them unrecognisable to Japanese people if you asked the way. Most readers are not going to be able to read the Japanese provided. In my opinion, it would have been better to have simply given an English spelling of the Japanese pronunciation. In this case, "Shinsaibashi". The tji-tji-bu makes a lot of sense if you've spent time with speakers of germanic languages. The "j" stands for a phonetic "y" -- consider the pronunciation of "ja" in German. The cluster "tj" is used to render what we would pronounce "ch", much like the "ch" sound in the contraction "whatcha want." The romanization in the book is the usual anglo-romance friendly transliteration, which means some Germanic speakers probably do benefit from the alternative transliteration. Do you want a tourist from Munich asking for hihibu with gutteral "H"s? Yes, I did think that. I think I mentioned that these renderings might be more suitable for some European languages than English. In English and for English speakers, though, I hope my alternatives will help a bit. Nerdy as heck, Steve, but absolutely necessary for good academic practice and proper dissemination of information. Nice work. I just hope you don't turn your critical gaze to my error-ridden blog! Having studied Swedish, I recognise some of these pronunciations. 'jo' is a Swedish word (disagreement with a negative statement) pronounced something like 'yoo'. 'tj' is pronounced very like 'sh' so 'tjira' for 'shira' makes sense. It works less well standing in for 'ch' in 'chichibu' but Swedes commonly pronounce 'ch' in English just as they would in Swedish (ie 'sh'). For example, they often pronounce 'China' as 'Shy-na'. As for 'Hakushu', my knowledge of Japanese is not so good but I understand that vowels may be devoiced so they almost disappear. Is it possible that 'Hakushu' genuinely sounds more like 'hack-shoo' than 'ha-ku-shoo'? I think in standard Japanese that the "ku" is definitely pronounced. But I would not claim to be an authority on the Japanese language. I speak it a bit and that is my understanding. Quite happy to be corrected. I thought of a good example right after I posted my last comment. 'Asakusa', the district in Tokyo, is pronounced 'a-sack-sa'. Then there is the Ukiyo-e artist, Hokusai (ho-k'sigh). Not sure about that one but I don't know any Japanese here I can run it past. Another one I recall: 'Matsushita', the company, is 'ma-tsoosh-ta'. I don't know what rule governs this though. The idea of having a pronunciation guide for Japanese whisky terms is a good one. There is a site for Scotch with a native speaker clearly enunciating each distillery name which I found very helpful. Sorry, I didn't mean to nitpick - I just find language quite interesting. I have checked this with my wife, who is Japanese, and we agree that Asakusa, Hokusai, Matsushita, as well as Hakushu are sometimes taught by Japanese speakers in the way you are describing. I was certainly not taught in this way and there is no rule in Japanese that the syllables you are talking about are dropped. However, some Japanese teachers, faced with the relentless tendency of English speakers to try to put excessive stress on the "Ku" in "Hakushu", "Asakusa" etc. do teach students to deemphasise it, which leads to a more natural, even pronunciation through the word. Some native speakers may actually sound as if they are dropping the syllables in everyday speech, too. So you have a point. Nevertheless, the general approach I was taught is to pronounce all syllables fairly evenly and without an uneven stress or length (there are differences of tone between syllables but that is a difficult and more advanced topic) and that is a good general aim for anyone trying to get a handle on Japanese. However, teaching a complete non-Japanese speaker to say "Hack-shoo" might actually result in a more natural pronunciation (as long as they don't overemphasise one of the two remaining syllables) than someone going the other way and saying "Hack-koooooo-shu" or something, so Ulf may have had a good point on this guide. I have updated my text. It is kind of odd to have an English-language book and have a pronunciation guide which doesn't conform to the standards of English. Of course, it doesn't help that the various English dialects will all pronounce things differently (where I'm from Japanese 'han' isn't pronounced like English 'man'). Personally, I'd have put names in Japanese text, Hepburn Romanization, and IPA equivalents in an index, but that's just me. Also, have you considered the possibility, however small, that Mr Buxrud also wrote the relevant portion of the Wikipedia article? Yes, I think you are right about the need in a book to use a properly systematised phonetic system if one is publishing a book. The disadvantage, which perhaps swayed Ulf, is that such systems are usually more difficult for casual readers to penetrate. On the other hand, it is going to be correct, which seems to sway it in that direction. This post is obviously a back of the envelope response, really just meant to warn people that there are problems. Perhaps with time and corrections from readers it can become more than that. If you want to come up with a more systematised pronunciation guide for the words Ulf covers, I would be glad to post it. I read the book this week and as I am an amateur I found it interesting - There are some other errors in the book - an example - being interested in spirit safes - he spells Forsyths wrong throughout the book.